Virginia Attorney General Mark Herring says he used blackface at a college party in 1980, in the latest controversy to hit Democrats elected to the state's highest offices. Herring is second in the line of succession for the governorship. His admission comes after the publication of a racist photo in the governor's yearbook and a sexual assault accusation against the lieutenant governor. The attorney general released a statement Wednesday saying he wore blackface and a wig as a costume decades ago. Herring said that as a 19-year-old college student, he and his friends dressed like rappers they listened to at the time, including Kurtis Blow, and prepared to perform a song. "It sounds ridiculous even now writing it. But because of our ignorance and glib attitudes – and because we did not have an appreciation for the experiences and perspectives of others – we dressed up and put on wigs and brown makeup," Herring's statement said. An organization affiliated with Blow, the rapper, issued its own statement. "Hip hop culture and rap music is a not a cultural phenomenon to be parodied or appropriated; it is a way of life for millions of people worldwide," said a representative of the Univeral Hip Hop Museum, of which Blow is the chairman. "Since you chose to become a 'cultural tourist' momentarily in your misbegotten youth, you now have a unique opportunity to give some thing back to the culture you had a passing interest in some 40 odd years ago," the statement continued. "Instead of making a pithy mea culpa, make a donation to the Universal Hip Hop Museum." The museum is slated to open in the Bronx. 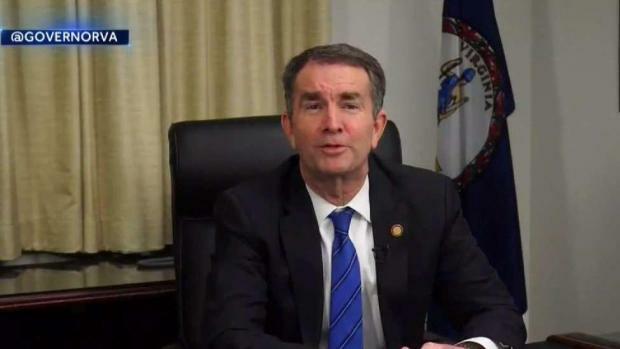 Virginia politics were rattled starting Friday when a photo surfaced from Northam's 1984 medical school yearbook page showing one person in blackface and another in a KKK robe and hood. Northam initially apologized for appearing in the photo; he later claimed he wasn't shown, but did say he once wore blackface as part of a Michael Jackson costume for a dance contest. Prominent figures from the left and right, including the chairman of the State Republican Party and the Virginia Legislative Black Caucus, called for Northam to step down and let Lt. Gov. Justin Fairfax take his seat. But in the following days, Fairfax's own past came under intense scrutiny. Vanessa Tyson, a political science professor on leave from Scripps College in California, came forward and accused Fairfax of sexually assaulting her at the 2004 Democratic National Convention. Fairfax, a married, 39-year-old father of two, said Monday that when he was 25, he had a "100 percent consensual" encounter in a hotel room with a woman he met at the convention. He wasn't married at the time. According to The Washington Post, Tyson described an encounter that began consensually and ended with a forced sexual act. 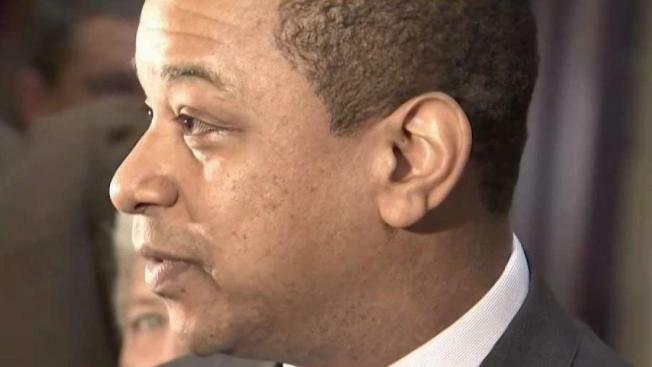 NBC News reported Wednesday, citing two sources, that Fairfax used profane language about his accuser in a private meeting Monday night. Fairfax said in a statement Wednesday that "in my remarks on Monday, I think you could hear how emotional dealing with an allegation that I know is not true has been for me." Fairfax's chief of staff and policy director conceded to NBC News that he used a profanity to refer to the situation but disputed that he directed any profanity to Tyson. Tyson's allegation against Fairfax was first published by the conservative blog Big League Politics, the same site that published the racist photo from Northam's yearbook. The blog published an image of a Facebook post by Tyson. She said a man who sexually assaulted her at the 2004 Democratic National Convention won statewide office in 2017 and "seems increasingly likely" to get a "very big promotion." She did not, in that post, name Fairfax as the perpetrator. Tyson issued an account on Wednesday of the alleged attack.